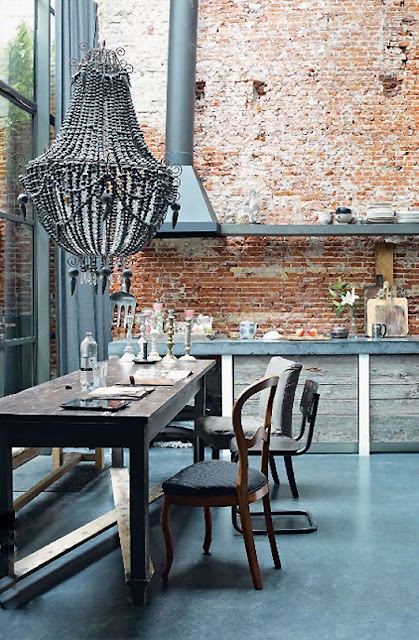 This mix can be tricky but gives fantastic results when used with limited color palette. 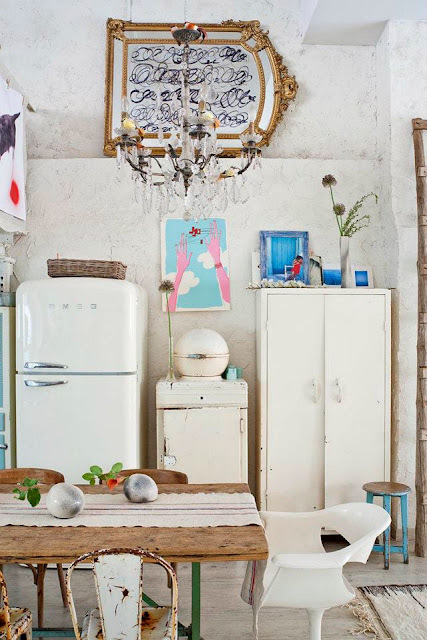 Stay away from bright colors and use at least 20 years old bits and pieces. 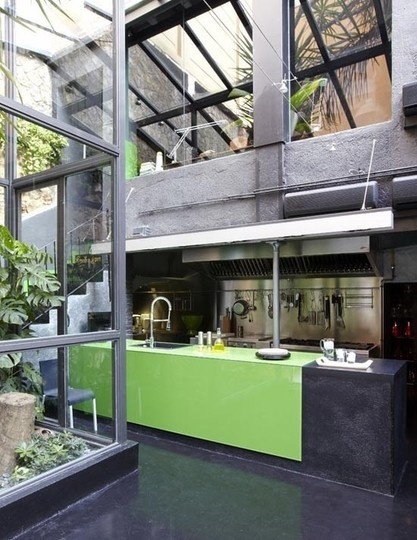 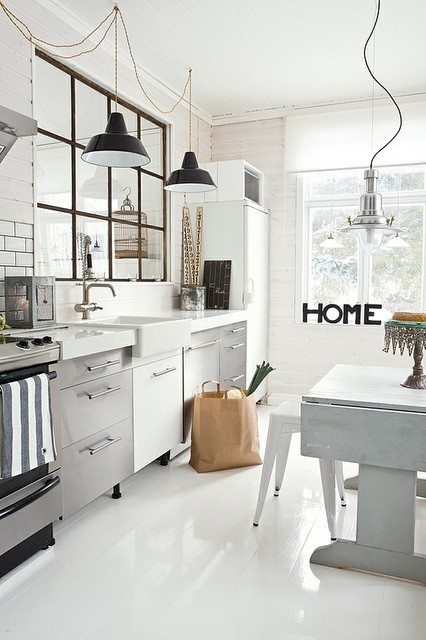 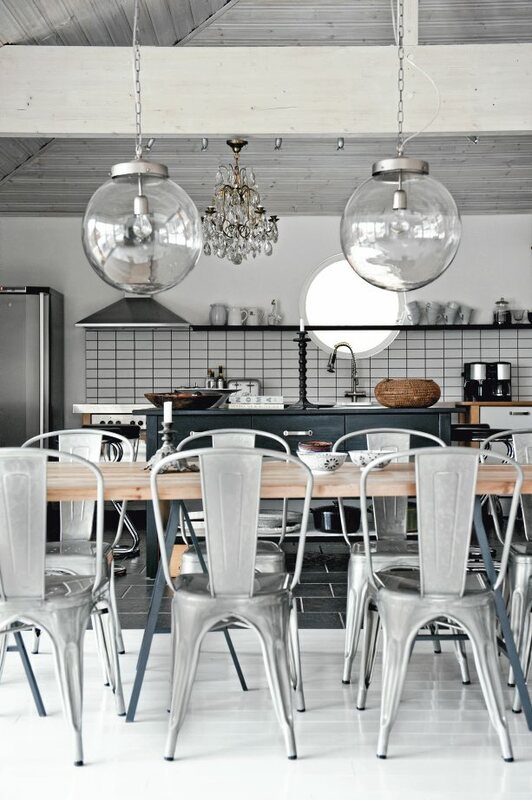 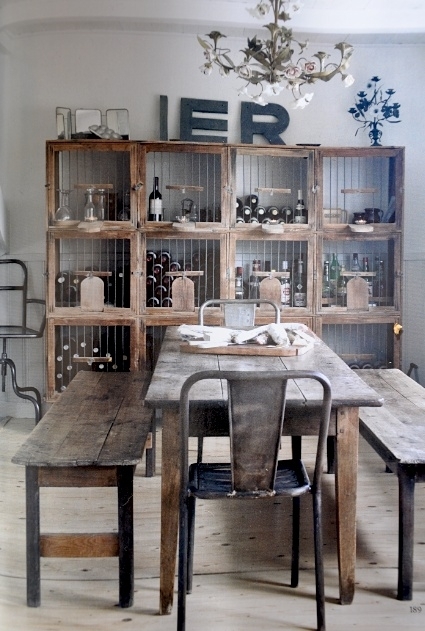 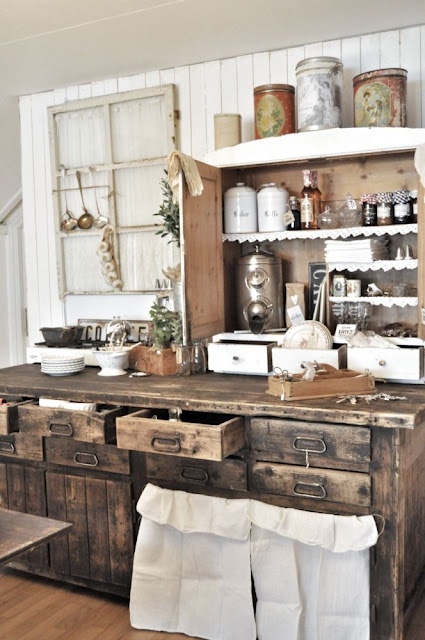 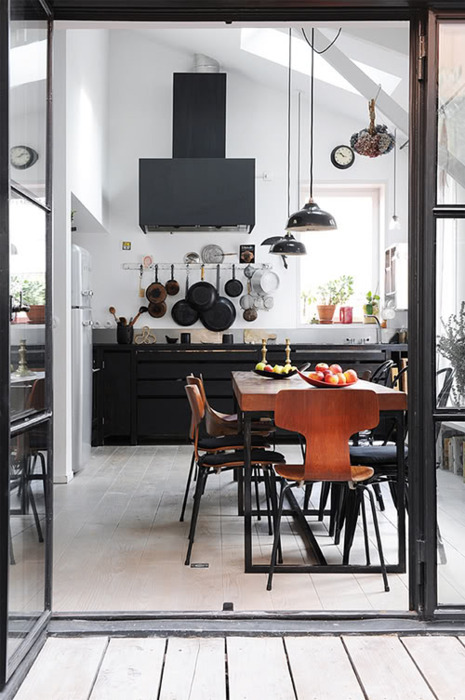 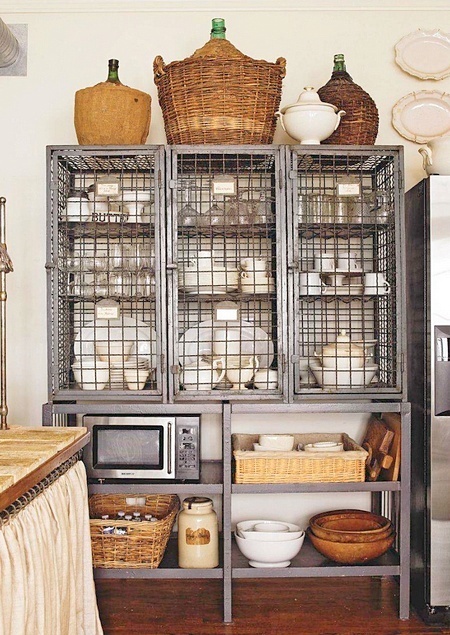 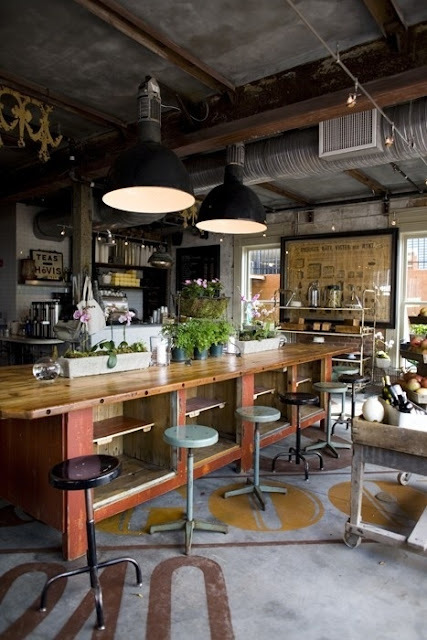 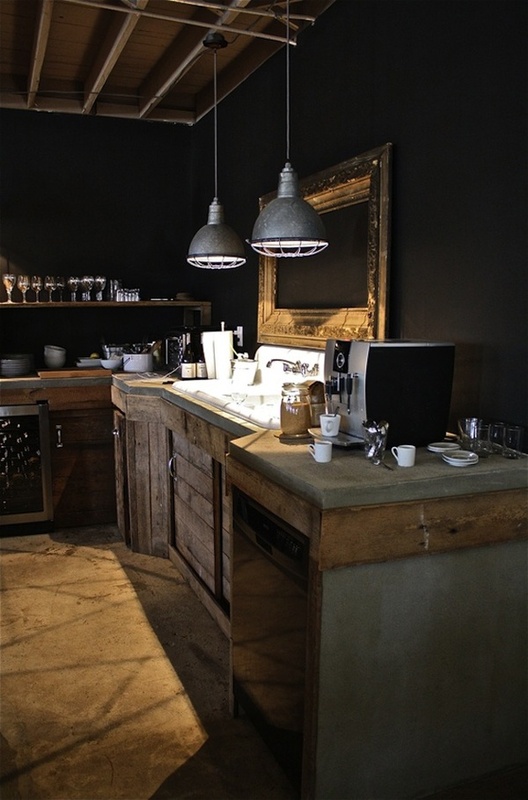 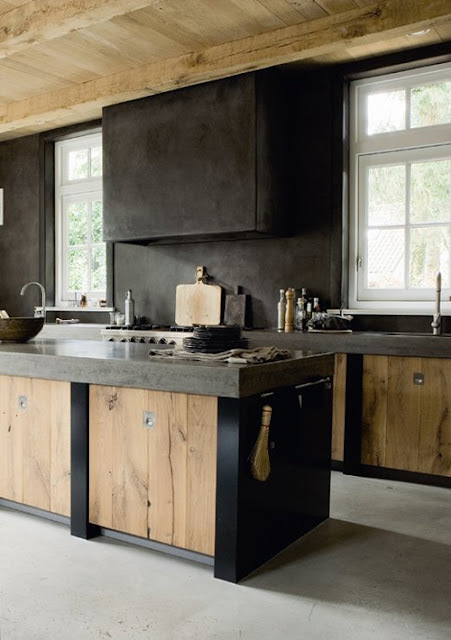 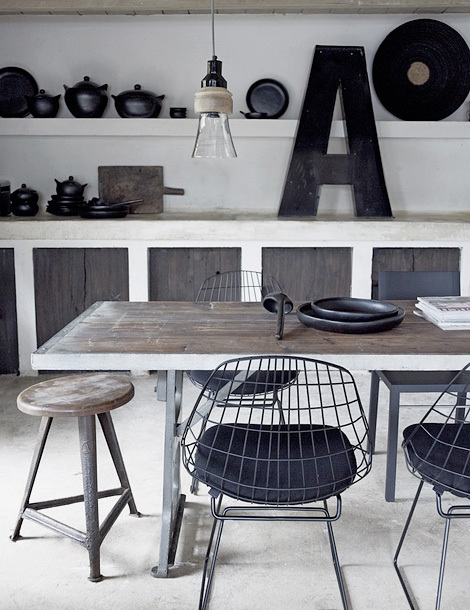 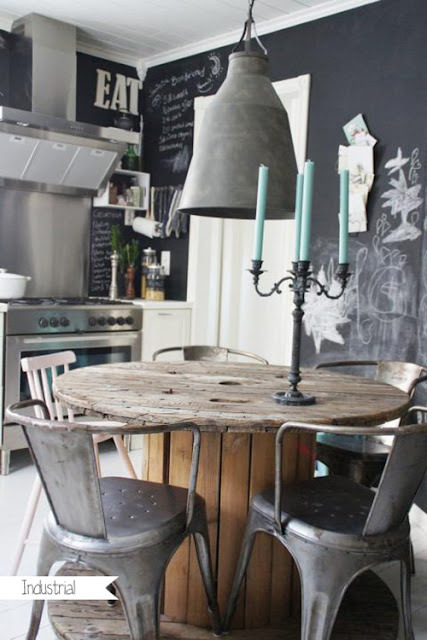 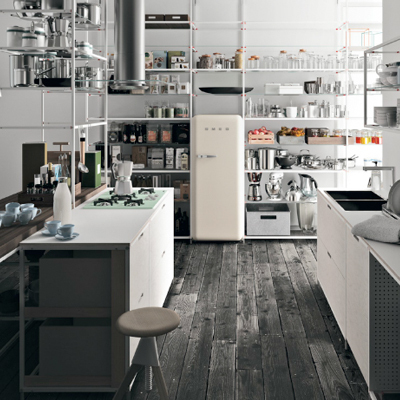 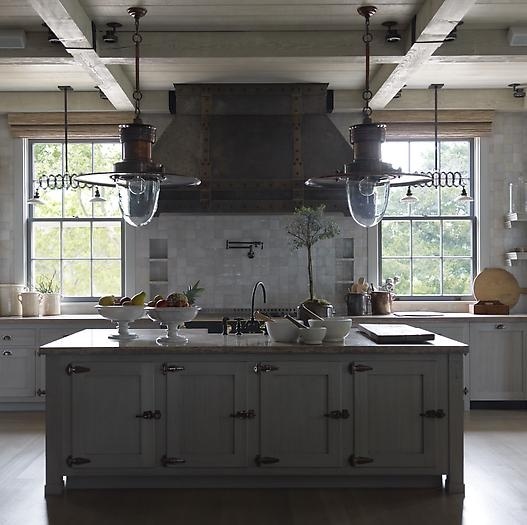 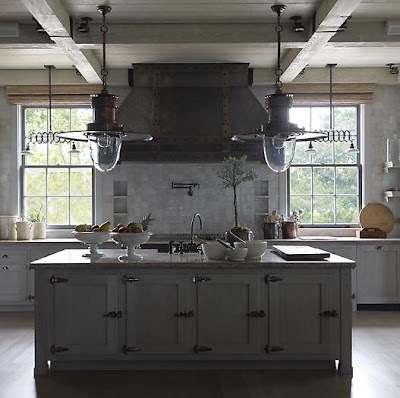 Natural materials, chalkboard paint and plenty of dark shades here and there will make your kitchen up to date.